The Draft Vehicle Management Plan and EIS tops the news in out latest edition of DCC News. 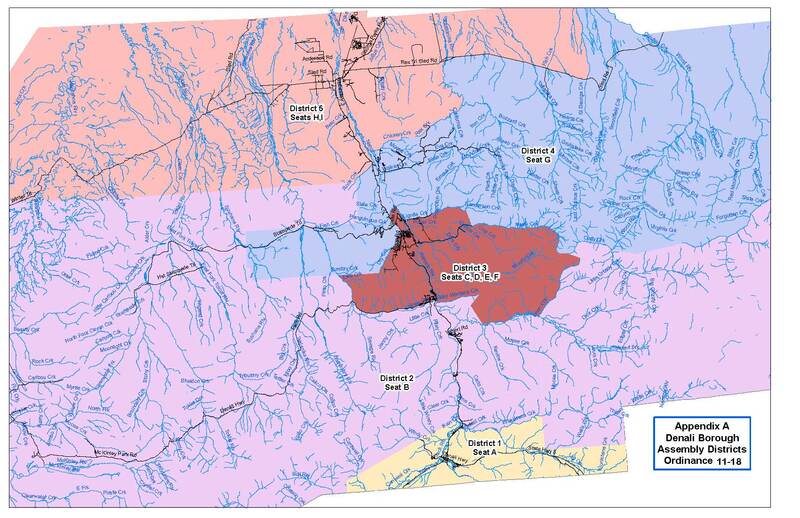 Other features include Denali Borough redistricting, Eva Creek’s impact on birds and wildlife, and Underground Coal Gasification. We thank those members who provided suggestions and encouragement to us in the development of these comments, and who submitted us their comments for our review. 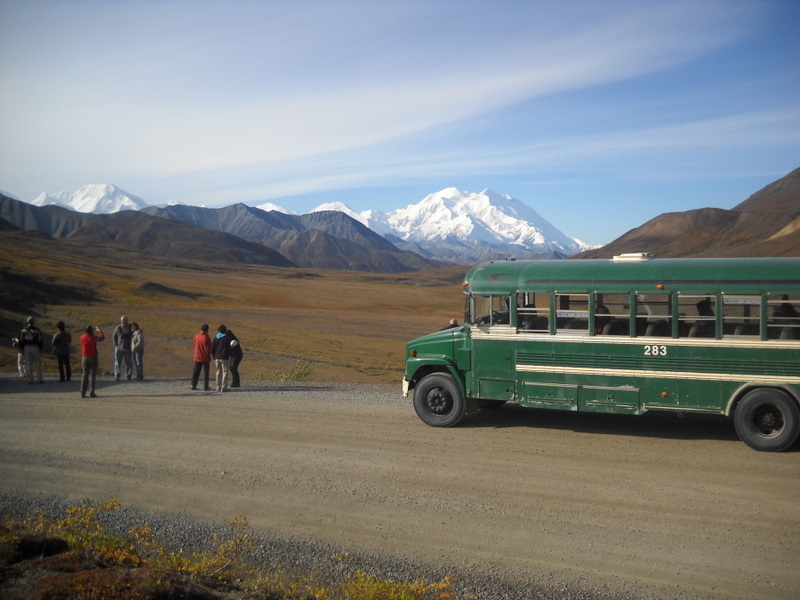 Our comments reflect our commitment to the natural integrity of the park, an affordable public transit system, a regulatory limit on vehicles at Denali, and several other elements of the Draft Plan combined into a unique DCC Alternative. Read our comments at the link below. We recently completed another round of comments on the Draft Denali Vehicle Management Plan, after continued discussion with members, constituents and the National Park Service. Our comments provide greater detail on our concerns about the plan, and suggestions for improvements. We remain very skeptical about the capacity of either action alternative to fully protect park resources, and we continue to argue for a firm vehicle capacity number. Please read our latest comments below. And remember, comment deadline is October 31st. Look for more comment suggestions in the next 10 days. For more information, see the resources on our page for the Denali Vehicle Management Plan. 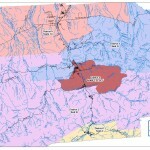 To comment on the plan, visit the NPS PEPC website. This past week has been a busy one for DCC. On Wednesday, September 14th, we held a well-attended constituent meeting at the McKinley Village Community Center, promoting an intelligent discussion on the Draft Vehicle Management Plan EIS. At the meeting, a number of suggestions and concerns were raised, and we’d like to thank you all for attending. We’ll be continuing our queries to NPS regarding details of this Draft Plan. Remember, although DCC will be submitting comments on behalf of our members, your individual comments are extremely important. They will be due on October 31, 2011. Check the DCC Vehicle Management Plan page for more history and copies of our comments. The webpage also provides information on how to submit comments. Our most recent reaction paper is posted at the link below. 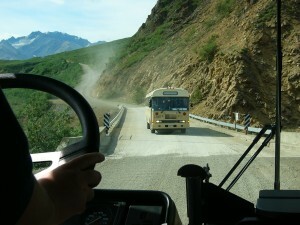 Read DCC’s initial reaction to the Denali Park Road Vehicle Management Plan. 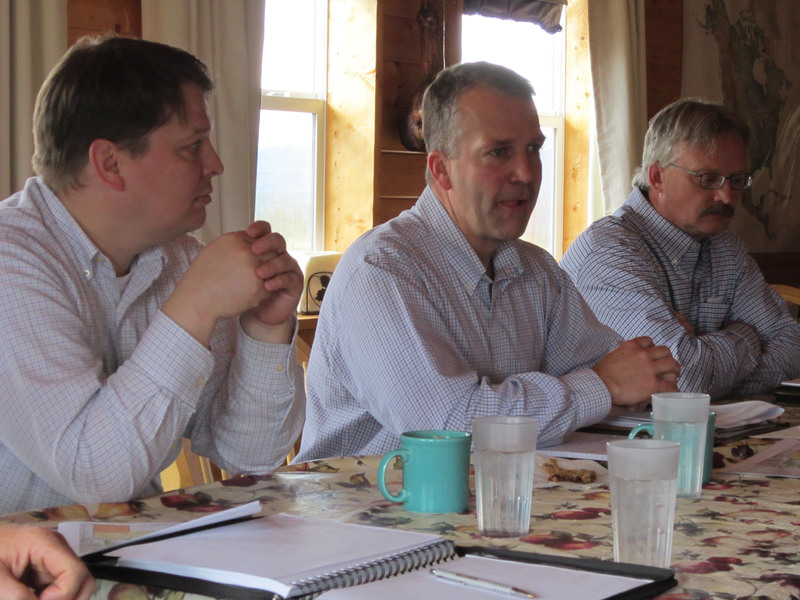 Also in this edition DNR Commissioner Dan Sullivan meets with DCC to discuss Healy gas exploration, Jane Bryant has a new book, and our newest board member talks about the Vehicle Management Plan. DCC board members are still reading and thinking about the Vehicle Management Plan, but we have generated some initial responses to the actions proposed in the alternatives. Follow the link below to a PDF that compiles our thoughts so far – things we like about the plan, questions we have, things we don’t like. Please take a few moments to read through, and let us know your thoughts and ideas. We would like as much input as possible from our members before crafting our final response. Remember the public meeting at the Murie Science and Learning Center on Tuesday, August 23, starting at 5:30pm, and other public meetings coming up soon. 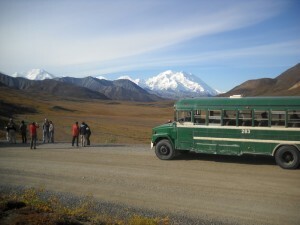 The National Park Service is holding three meetings on the Draft Denali Park Road Vehicle Management Plan, which is available for review and comment through September 30, 2011. The draft plan describes two action alternatives and a no action alternative for managing vehicle use on the 92-mile Denali Park Road for the next 15-20 years. During the meetings, which will be done in an open house format, the public will have the opportunity to ask questions of park staff, gather additional information, and provide formal comments. The Draft Denali Park Road Vehicle Management Plan and EIS has been years in the making, and is now released for public comment. This plan suggests changes to longstanding management principles for governing traffic along the Denali park road. DCC will be formulating an initial response over the next two weeks, and we welcome your input. Please write us at mail@denalicitizens.org. Feel free to also post comments and discuss on our Facebook page. Our May-June 2011 Newsletter, now at press, provides an eclectic mix of articles. A cover article on our recent Annual Meeting provides pictures and a recap of this popular event. 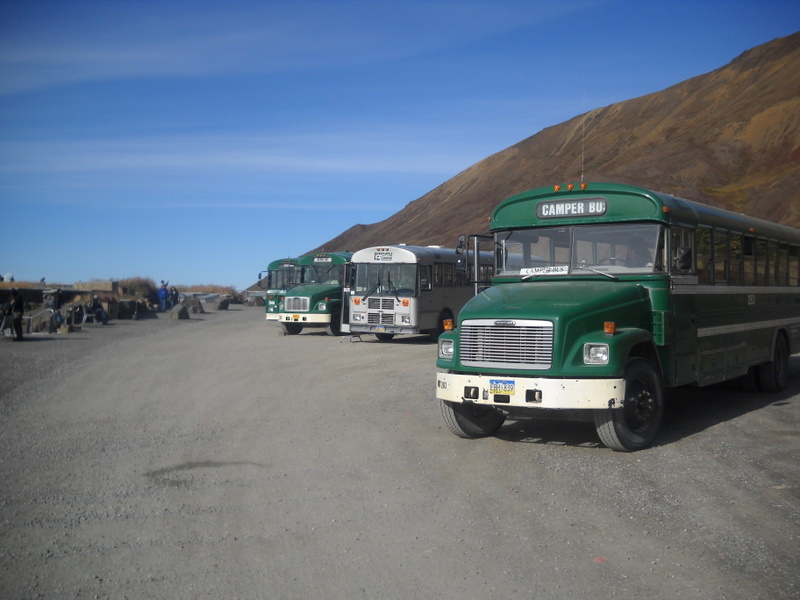 “A New Vehicle Management Plan for Denali – will it be better?” by Nancy Bale, provides some history behind the move to change how buses and other vehicles are allocated in Denali Park. The EIS for this plan is expected any day. 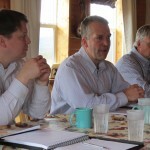 “Board of Game considers allowing motorized Hunting in the Yanert,” by Anne Beaulaurier, reviews the recent proposal before the Alaska Board of Game to add a late season motorized hunt and details the local opposition. “Gas Bullet Line Skirting Denali NP would be largest project on Continent,” by Cass Ray, discusses this mammoth effort that remains at the planning stages, for now. Other interesting articles appear, on the massive changes to the Denali area’s voting district, the Parks Highway interpretive plan, the Stampede Road Cleanup, and more. For an online version of the newsletter, click the link below. Prior to the nationwide economic declines of 2008-2009, demand from package tour companies had tour bus allocations near management plan limits. NPS started scoping for a new Vehicle Management Plan in the winter of 2010. We addressed our concerns in comments.